Cauliflower gets its name from the Latin caulis, meaning cabbage and flower. Cauliflower has quite a bit in common with cabbage in fact, as they come from the same family that includes brussel sprouts, kale and broccoli. Autumn and winter are the perfect seasons to enjoy cauliflower with abandon given their seasonality and their amazing ability to morph into warm, hearty, satisfying dishes. 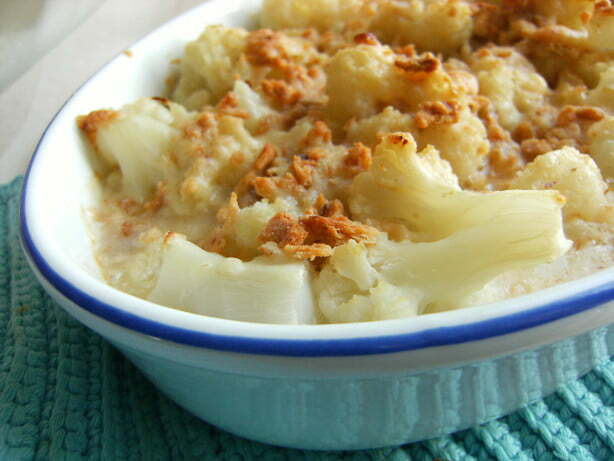 Certainly one of our favourite vegetables, cauliflower is amazingly versatile. Before you say, yes versatile as a door stop or to season your compost pile, consider the following. Cauliflower is a nutritional powerhouse that contains a host of powerful phytochemical including many that protect against cancer. If you don’t like cauliflower, chances are you have never had it prepared well. A few segments of cauliflower microwaved with a chemical and additive rich slew of “cheese” sauce does both your body and palate a disservice. 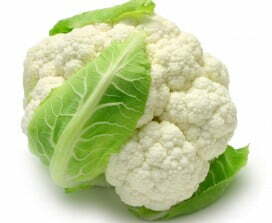 Cauliflower is mild in relation to other cruciferous vegetables and quite versatile. 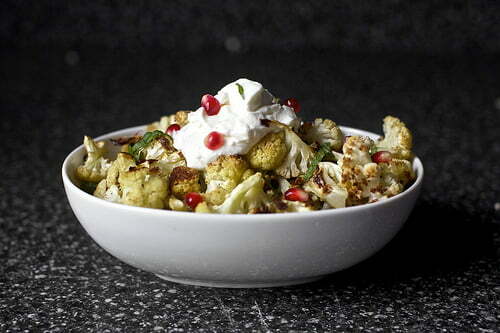 A little kitchen alchemy and cauliflower becomes something quite special. You almost never go wrong with roasting a vegetable and roasted cauliflower is delicious but cauliflower can be eaten raw, boiled, steamed and even pickled. Strangely, with the exception of Britain, we do not see it used much in the home kitchens of Europe. In Australia, cauliflower is a staple of Anglo Australian cuisine, and now more recently we are exploring many different ways of preparing it thanks to our Middle Eastern and Indian influences. To show you cauliflower’s good side and proof that this humble, affordable vegetable can be transformed into a favourite seasonal staple, we have put together two very different ways to prepare cauliflower. Eat good food. This classic Gratin makes an impressive side dish or a wonderful, satisfying vegetarian entrée. Steam/microwave or boil cauliflower seasoned with salt until tender. Melt butter until it foams and whisk in flour cooking for a further 2-3 minutes whisking constantly. Whisk in milk incorporating slowly. Continue to cook while stirring with a wooden spoon for 10-15 minutes, until it comes to the boil & coats the back of the spoon. Add salt, nutmeg, parmesan and 1⁄2 other cheese. In a large bowl toss 3⁄4 sauce with the cauliflower and fresh ground pepper. Arrange the mixture in a baking dish, cover with the remaining sauce and sprinkle with remaining cheese. Cook in preheated oven @ 200 Celsius for 20-25 minutes. This recipe utilizes big, bold flavours with cumin and coriander which add punch to the mild cauliflower. Toasted pine nuts add a nutty dimension and currents lend just a hint of sweetness. Lemon zest and yoghurt balance out the assertive flavours. Toss cauliflower with cumin & olive oil to coat lightly and season with salt. Roast in the oven for 15-20 minutes until coloured and al dente. Combine yoghurt with lemon zest, 1 table spoon olive oil, salt & pepper. Combine all ingredients in a bowl and toss with yoghurt dressing & serve on a platter garnished with fresh coriander sprigs.